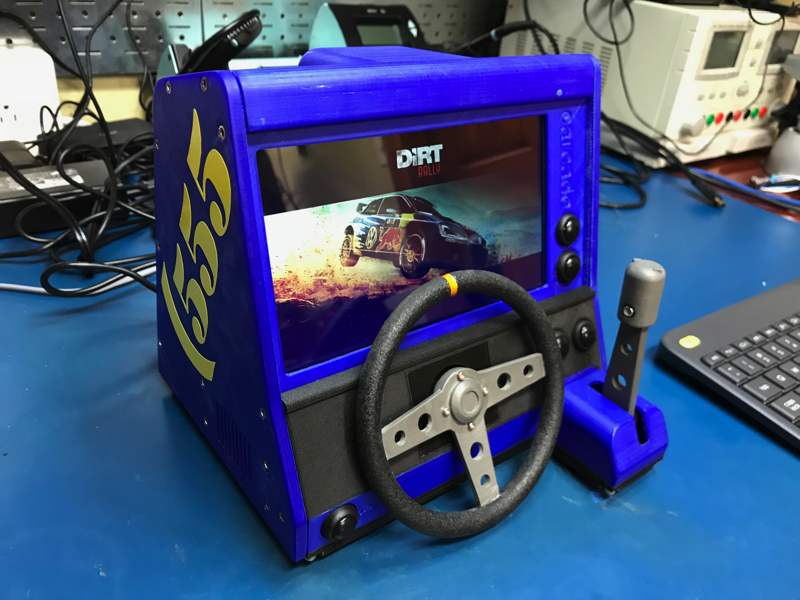 Dirt Rally Tabletop Car-Cade « Adafruit Industries – Makers, hackers, artists, designers and engineers! For the longest time I’ve had the idea to put a Raspberry Pi into one of those kids car toys from the 80s. I already had an Intel Atom powered dev board, the MinnowBoard. Surprisingly, SteamOS installed on it without any issues. After playing around with SteamOS and Dirt Rally on the MinnowBoard without much luck (talking in frames per minute, not frames per second), I settled on the idea of building a full Intel powered system running SteamOS. I would then work on designing and 3D printing the entire enclosure from scratch.